It’s not just any old festival. It’s The Festival. And that may sound presumptuous given the frequency of outdoor Los Angeles beer celebrations. It seems you can’t swing a bat these days without hitting a beer party piñata (I am not complaining. Also: Someone invent a beer piñata please). But really, this fete is worthy of the name The Festival. 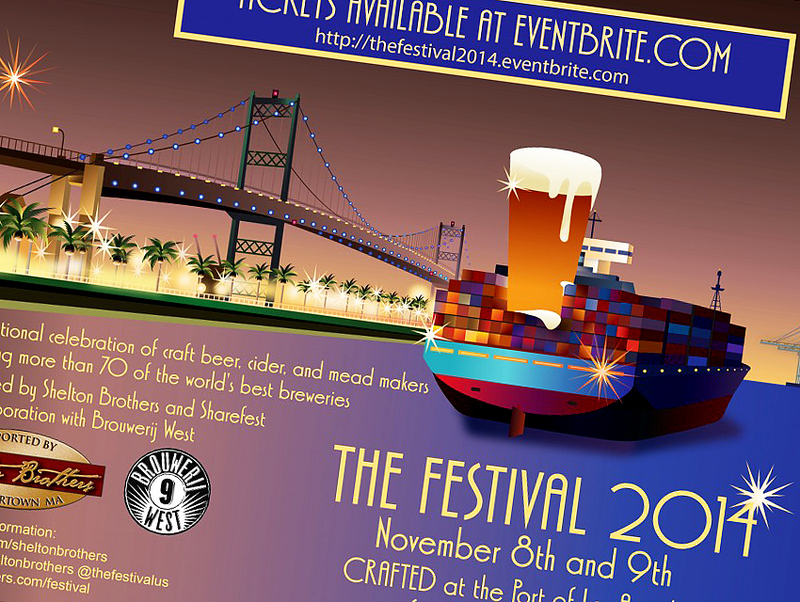 Some of the best brewers in the world will be in attendance this weekend at the Port of Los Angeles. Cantillon, Mikkeller and Westvleteren to name a few. Along with more than 50 international breweries, around three dozen U.S. brewers will be on hand. Highlights include Jolly Pumpkin Artisan Ales from Michigan, Maine’s Allagash Brewing Company and Celestial Meads out of Alaska. Not to mention local favorites like The Bruery, Beachwood BBQ and Monkish Brewing Company. And Brouwerij West of course. The event happens to take place at the future home of Brouwerij West, Crafted at the Port of Los Angeles. Mercer plans on opening a taproom and brewery in a remodeled WWII-era warehouse across a courtyard from Crafted next year. When it opens, it’ll be the first permanent home for Brouwerij West. Mercer’s been a self-described “homeless brewer” since he started Brouwerij West in 2010. He’s used other brewers’ facilities to make his beers in what is essentially the brewing equivalent of backpacking across Europe for four years. He’s ready to stop living out of a backpack and come home. So The Festival is something of a groundbreaking for Brouwerij West, attended by beer rockstars from across the planet. Not a bad way to christen a future home.